In the last week of September 1989, two albums by leading black female artists were released. I don’t really know whether it is possible to find any meaningful link between the two but some may yawn that, yet again, the lesser of the two was the one to make it to the top. Not that anyone should yawn at Tina Turner, somebody who has lived through things so horrible that even Annie Lennox could never imagine them; I can’t think of anybody else who better deserves to be an international pop star, or brand, whose name they know how to spell in Vladivostok. She sprang back into life five years before with Private Dancer and then, like Presley in Vegas, settled down for maximal tourist/hotel lobby appeal. Indeed the snapshots on the cover of Foreign Affair suggest a jetsetter who can go anywhere and do anything. Sashay up the Eiffel Tower? No problem! Look at the Herb Ritts centrespread and you might wonder how much of this the eight-year-old Beyoncé took in. So Tina earned her global fame, and much of this, the third studio album of her “second” career, caters to the global market with a practised expertise which makes the Madonna and Whitney of that period sound jejeune (as I am sure was the intention). Still, she could hardly be said to be happy; in song after song (the titles speak for themselves) her voice tears through the bland music (the panpipe keyboards dotted throughout are particularly irritating) with hurt, rage and sometimes (the ending of “Be Tender With Me Baby,” with just an acoustic guitar to cushion her) blood, as if she is fighting against the eighties, wanting to smash the affluent glass ceiling. One is continually reminded who might be on her mind while she sings these songs. She is markedly happier away from the Albert Hammond/Holly Knight/etc. Hits 4U machine (“The Best,” a cover of a song first recorded the year before by Bonnie Tyler, is for me far too redolent of bad MBA seminars to work – David Brent was only confirming what some of us already knew – although for co-writer Mike Chapman it must have been the biggest payday of his career) and working with Tony Joe White (his friend Mark Knopfler got him the gig). With four songs on the album, including the patiently melancholy title track, this represented a major revival in White’s career – the swamp man was never going to go disco – and Tina sounds far more relaxed and involved. “Steamy Windows” is sensual without having to have it underlined; her vocal performance on “Undercover Agent” is a masterclass in using the voice to act out a story, with its multiple pauses, slurs, squeals, hisses and scatting, all of which are as carefully placed as any of Nicholson Baker’s commas. “You Know Who…” is nicely modernistic (only Tina could sing “devastated MEEEEEE! !”), and the closing title song, with Knopfler providing his best guitar work in several years, is superficially fast but hugely slow-paced in its central resigned lament, which concludes with a devilish cackle from the singer to fadeout. 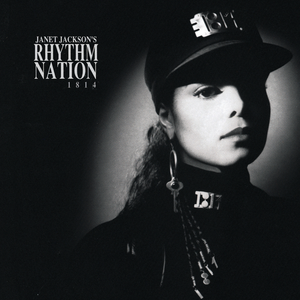 I think Rhythm Nation represents the point where I finally lost faith in the music press, British or American. It had a deadingly indifferent critical reception and you may search the end-of-year critics’ polls for it in vain – it only appears in Christgau’s list. A lot of alleged critics yawned in a it’s-not-1986-anymore manner – as though titans like The Wonder Stuff and Mega City 4 were up to the minute – but really it taught me that the primary function of music “criticism” was to big up your friends and your old favourites, and that the big-uppers were predominantly, and suffocatingly, male and white. Because Rhythm Nation was the year’s best and deepest pop record. As soon as the martial crunch-down supersedes the abstract electronic miasma and launches into the titanic title track you are immediately roused to get up and dance, or at least shake a fist, in the same way that the opening credits sequence of Do The Right Thing dares you to stay seated (still one of the most exhilarating cinematic experiences of my life, watching that on opening night at the Ritzy in Brixton with its predominantly black audience, all rising up to dance to “Fight The Power,” arguing back with the actors all the way through the movie, generating internal debates). P-Funk, yes, a Sly Stone sample, yes – thank you falettin’ Janet be herself again - but absolutely, overwhelmingly and triumphantly 1989 now as in, well, “The Star-Spangled Banner” was written in 1814 (hence the album’s subtitle) but 175 years later our people need a new anthem of faith. The album bustles along as exhilaratingly as anything on Def Jam or Alternative Tentacles at the time, songs linked by random TV scans or gnomic pronouncements (“Ain’t no acid in this house”), songs of jubilant protest, demanding change and newness. Halfway through side one, following songs about education, homelessness and drug addiction, Janet asks whether we got the point – A&M wanted her to do an album called Scandal about her personal life but Janet, and indeed Jam and Lewis, had other ideas and stood firm – says good, and invites us to dance. Yet “Miss You Much”’s underlying drone still creates an ambience of doom, as if already mourning something lost. Side two is half hard dancefloor, half slow jams, but throw a similar description at A Love Supreme and see how inadequate that is. “Alright” hammers its defiant sticks like Neubauten pop celery. “Escapade” – apparently originally inspired by Martha and the Vandellas’ “Nowhere To Run” (see for parallel purposes N.W.A.’s “100 Miles And Runnin’” from one year later) – is Prince worthy of Prince (or at the very least Sheila E). “Black Cat” rocks “Beat It” right out of the aeroplane door (kudos to Loud Heavy Rock Metal guitarist Dave Barry). But the slow jams are the record’s slowly but intently beating heart, and are not really three songs as such but one song in three movements. “Lonely” lowers the lights and tempo and the record settles down to regain its breath – we are reminded that Janet was as inspired by Joni Mitchell and Tracy Chapman as Sly when it came to making this record. Why does the song move me so? It is difficult to listen to at this time of the year and normally it is one of these pieces of music which I keep fenced off for emotional overload reasons. But I think its sadness is more deeply rooted, because it is the one song on the record where she sounds like her brother – her brother in the mid-seventies, that is, the way he used to sound before fame, the world and life did things to him…and maybe it is that Michael whose return she is begging, the same Michael who in 1989 was so high up in the world that he was unreachable. It already feels like a premature requiem, building up melodically in ways not dissimilar to “Human” before slowly disintegrating into the same hanging F minor seventh chord which closes “Dreams”; the saddest chord in all of pop. But, without any fuss, there then comes a happy ending, another Motown reference – “Someday we’ll be together…well, tonight is that ‘someday’ – and it is with “Someday Is Tonight” that Janet tries to channel the spirit of Marvin Gaye; hers is a brilliant performance, easily worthy of side one of Let’s Get It On (“If I Should Die Tonight” etc. ), with her entirely satisfied murmurs and breathing settling to something approaching…utopia (meanwhile, a muted Herb Alpert returns to do a pretty mean Miles, and at the fadeout we hear a riff - can it be? - "West, End, Girls"...remember, we're all one...). “In complete darkness we are all the same. It is only our knowledge and wisdom that separate us. If you have to credit What’s Going On? and To Pimp A Butterfly – and you must - Janet Jackson’s Rhythm Nation 1814 is the midwife. What I like about your posts on TPL is that you manage (if it's a conscious effort) to separate the music you're writing about from what it later became. I've only recently come back to TPL after a pretty quiet time in my life, and I had become unfamiliar with your style. I suspect you are still stubborn to the point of contrariness, and we will not agree on (anything like) everything, but coming from pretty similar backgrounds I always find your writing interesting at least. To look at "Foreign Affair" in 2015 without the baggage attached to "The Best" (particularly in Glasgow), or the cheap stag-night stripper's staple "Steamy Windows" allows for a fresh re-appraisal of the music itself. I can't get away from these associations the way you do. It's good to be reminded where it fitted in at the time. Keep at it! I've got to say that I think RHYTHM NATION is a very good album. I didn't buy till years after it came out. I dug a cheap copy out of the used bin. I feel as though underneath all of the high tech production there is a 60's-ish girl group/Motown vibe going on. It is very interesting to listen to this album & THE SUPREMES A GO GO in one sitting. I wasn't terribly thrilled with the direction Ms. Jackson went after RHYTHM NATION. Keep up the good work my friend. I pray & trust your life situations you mentioned a few months ago are going better! Tina by this point was much bigger in Europe than the USA; Janet was still, and to some extent always remained, in the reverse situation - on Billboard's listings, 'Rhythm Nation' was a bona fide number one (with her next album, she'll be in directly here) and 'Foreign Affair' went no higher than number 31. In retrospect one of the most shaming aspects of the early 1990s UK charts was the constant stream of schmaltzy Diana Ross ballads which did precisely nothing in the USA, while (and here we must point much of the blame at Johnny Beerling and the culture of institutional racism he fostered, never even thinking there was another way) foundational masterpieces of modern R&B, which had rapidly launched a huge insurgence on the Hot 100 post-Soundscan/Nielsen and which are still loved and referred to now, went nowhere ... but then I'm getting ahead of things here; the sad tailing-off on entry #492 will cover that and no doubt provide the basis for a broader analysis. And there is something great about hearing, say, Ras Kwame playing "Sweetest Taboo" on Capital Xtra, especially when you consider the unedifying muck with which most of UK commercial radio largely represents the mid-1980s, and that by contrast Sade are almost never played here (I should imagine Heart would only play the two big songs from 'Diamond Life', if even those) whereas quite a few of their songs get daily airplay in any US market with an adult R&B station, which is probably most of the big cities. Another fine piece of work all round - as you say, there is a nasty, parochial, insular whiff to looking at a lot of music papers from this time, even the better ones. I wonder, now, why I once went to such effort to collect even the MMs; the world seems bigger and broader now. And "No Sleeep" is great too. Yessssss. I've been waiting for this blog to cover Janet, and you didn't disappoint. The word that springs to mind when I hear the album's opening cluster of songs is "urgency" - few albums force me to stand up and pay attention as quickly as this one. I wonder if the critics' reactions to it is partially responsible for how frustratingly overlooked it is as an influence on today's pop landscape - I'd argue that in addition to Kendrick Lamar, Beyoncé's self-titled album would be pretty much inconceivable without the influence of Ms. Jackson. "...the primary function of music “criticism” was to big up your friends and your old favourites, and that the big-uppers were predominantly, and suffocatingly, male and white." Fine work. I have to say I was one of the people who passed on Rhythm Nation at the time, thinking it three years late. Passing time has made all the difference for me. I don't think the music press were "nasty, parochial and insular" in 1989, Robin. Maybe I was in an especially happy place in my life, but I was at Melody Maker in 1989 and talking about new releases from Starlight's Numero Uno (which I made SOTW) to Dinosaur Jr to Happy Mondays to Flying Nun to Inner City to the Manics to Cowboy Junkies with fellow writers who were equally excitable. There was always Steve Lamacq at NME, building up the proto 6Music brand and making NME progressively more "indie", and I'm aware the list I just wrote is almost entirely white and male... but I think it was a genuinely internationalist time for pop, and a lot of writers were celebrating that.